Attawapiskat Chief Theresa Spence is ending her hunger strike—but the fight for indigenous sovereignty continues. 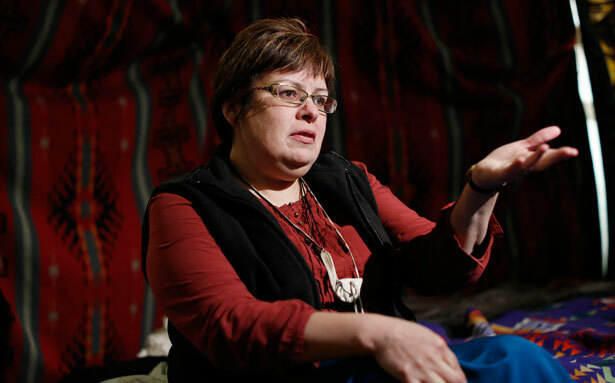 Attawapiskat Chief Theresa Spence has decided to end the hunger strike she started on December 11 after representatives from the Assembly of First Nations and two Canadian opposition party caucuses endorsed a declaration of commitment to First Nations. Although Prime Minister Stephen Harper declined Spence’s initial demand to meet with all Assembly of First Nations chiefs and Governor General David Johnston, the declaration outlines a broad pledge to pressing First Nations issues. Spence, who has lost some thirty pounds since making the decision to survive on water, therapeutic tea and fish broth, has been hospitalized. She has been placed on an intravenous drip in preparation to consume solid food for the first time in well over a month. Although Spence was admitted as a precautionary measure, it’s unlikely she will be able to attend today’s news conference, which marks the end of her principled action and the announcement of the declaration of commitment. Spence’s spokesperson, Danny Metatawabin, has made clear that the end of the hunger strike doesn’t mark the end of her fight. The 13-point declaration of commitment, meanwhile, addresses the omnibus bill that became a catalyst for the Idle No More movement. It demands a review of that bill, along with another, to comply with constitutional stipulations to confer with First Nations representatives. But it goes far beyond budget bills. It also calls for the realization of a framework to enforce treaties on a nation-to-nation basis—honoring First Nations’ indigenous sovereignty—and public inquiry into violence against First Nations women. Moreover, it demands full implementation of the United Nations Declaration on the Rights of Indigenous People. Canada was one of only four nations—including the United States—that originally rejected the UN declaration in 2007, although it changed course in 2010 and endorsed it. Idle No More has illustrated, however, that Canada has a long way to go before it implements the spirit of the UN Declaration. The hope is that the signing opposition parties will place critical pressure on Canada’s lawmakers to honor the resolution. Along with Idle No More, Spence caught the attention and support of Native and non-Native activists. Major flash mobs are planned for this Saturday in Oklahoma, Alabama and Sydney, Australia. Native organizations in the US, meanwhile, are planning to bring more attention to Violence Against Women Act reauthorization, with a focus on Native jurisdiction and immigrant rights. Chief Spence is expected to remain hospitalized until later today or Friday. Read Aura Bogado's primer on Chief Spence and Idle No More.